My “big” trip this year involved heading down to the US of A to visit my dear friend Amanda! Amanda is currently nearing the end of a two year nursing contract in Colorado and I am so happy that I was able to go visit her while she’s still there. 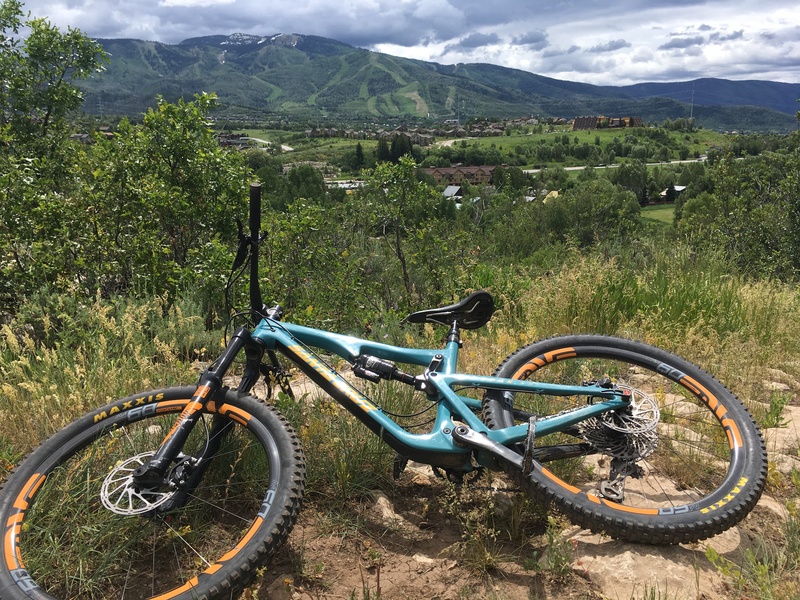 I gotta say, this gal is living a pretty sweet life – surrounded by so many amazing mountains and trails! We decided to make an adventure out of it and turn my visit into a roadtrip from Denver, Colorado to Salt Lake City, Utah. Our first stop was Colorado Springs where we visited the Garden of the Gods. Hiking a mountain is hard (not gonna lie, near the end aka “take tens steps, stop and gasp for air – repeat.” Not twice, but three times, we reached false summits – where you’re like oh hey! there’s the top! and then you get there and it’s like oh no there’s still like 1000ft to go!) but can also be empowering (we pushed through and despite the feeling of possible collapse happening multiple times….we did make it to the top! And the view made all the sweat, pain and “almost” tears so sooooo worth it). and if there is at least one perk to there still being snow on a mountain in the middle of the summer. It’s being able to slide down it! On day 3, we decided, what the heck – let’s hike another mountain! Devil’s Causeway. We ended up doing a shorter version of the hike that consisted of a mere 9miles. The views here did not disappoint! Day 4! Awaking after an evening of camping in Steamboat Springs (freeeeeeee camping – Colorado has so many free campsites just off of the side of the road), we got to ride some pretty sick mountain bikes – for free! Thanks Santa Cruz. Can you guess how much this bike would be worth? ermmmmm…… around $7000 (carbon $$$). Needless to say this is the nicest bike I will ever be riding! Our last adventure in Colorado was a relaxing raft down the Yampa river before we headed to our final destination, Grand Junction for a lovely nights stay at Amanda’s before entering the second leg of our journey! First stop in Utah was Bryce Canyon National Park. This park is known for its beautiful Hoodoos (spire-shaped rock formations). 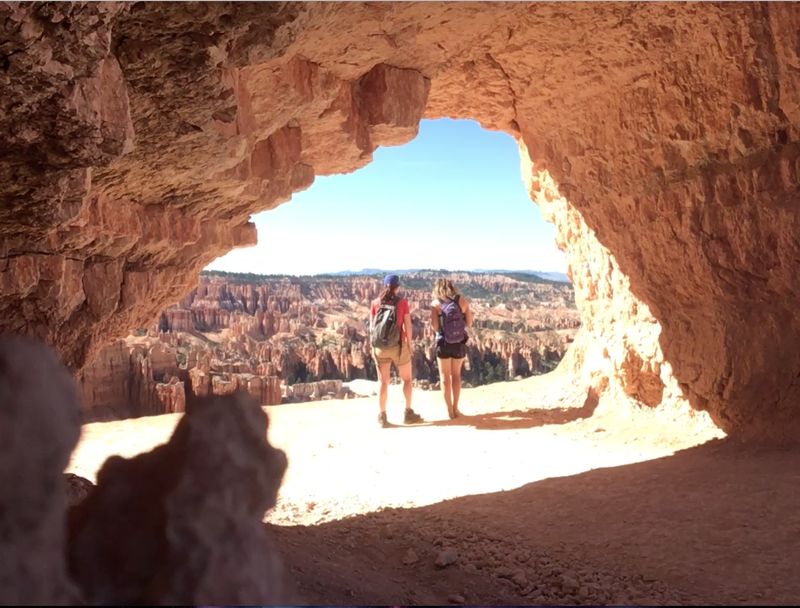 We escaped the busy, touristy lookout overviews and hiked on down to a trail that went into the Bryce Amphitheatre. Highly suggest doing this as there were many more amazing photo opportunities and no crowds. Our second last day was Zion National Park. Tip, if ever you’re going, GET THERE EARLY. This park is absolutely beautiful but it is also SUPER busy! Due to high levels of traffic in the past, you actually can’t drive through the park anymore. All visitors need to park at the visitors centre and then they have shuttle busses that run quite regularly to all the main spots in the park. The thing, I said earlier, about getting their early…. we arrived there around 9am and waited about an hour to get on a shuttle bus. With everyone arriving at the park early, there was a huge backlog of people waiting to get on. A bit of a pain, but the line moved quickly and the shuttle buses did help alleviate the stress of finding parking and dealing with traffic throughout the park. There are probably two hikes in this park which were my favourite and which I would say are the best ones. The Narrows. 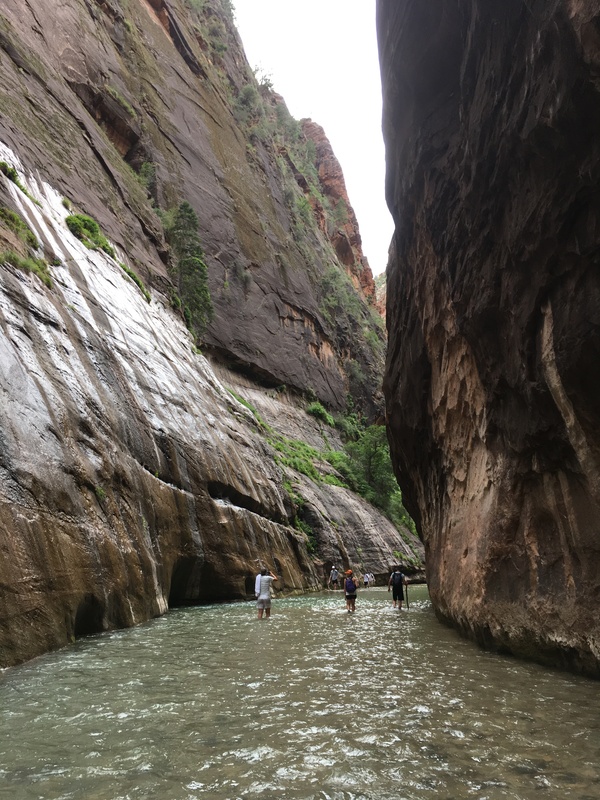 A hike through a slot canyon, straight up through the river. 2. Angels Landing. A hike that is not for the clumsy or impatient. The view from atop Angel’s Landing is breathtaking but the hike itself is pretty dangerous – a reported 6 people have died while doing this hike. Like all hiking trails in the park, it’s busy and on this particular one there are small pathways and steep inclines. There are chains that have been put up to help you on your climb but in quite a few areas it’s one way only, so you need to wait your turn to get up, down, or across certain areas. I gotta say tho, the view from atop is the best one in the park. Our last and final stop before Salt Lake city was Antelope Island. Where the Bison roam (and the water smells really really baddddd). Our final evening was spent in Salt Lake City, enjoying some great food, delicious wine and celebrating Amanda’s birthday! And that’s a wrap on DEN to SLC.